Druid College in U.K. is born! 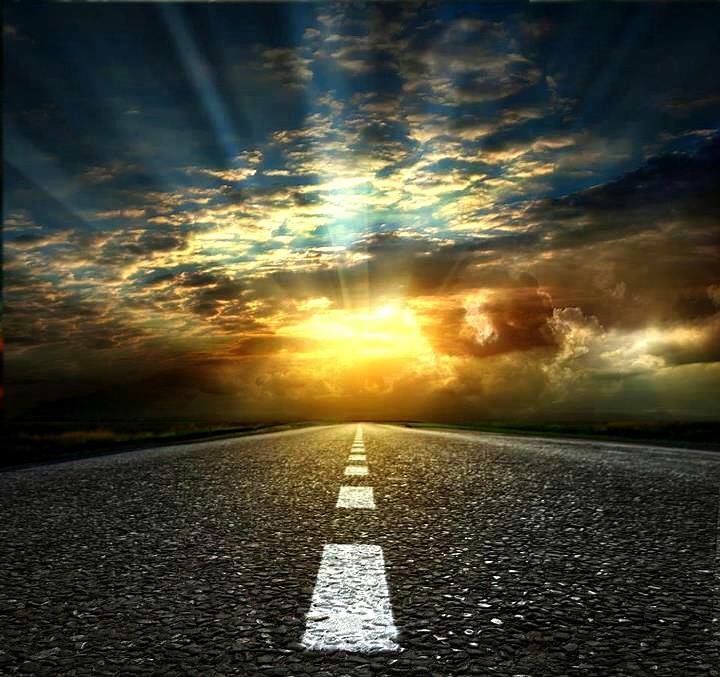 2015 has been an exciting year for Pagans so far, and we’re only in February! First it gets announced that Iceland is buildings its first temple to the Norse God to be erected in 1,000 years. Now a U.K. branch of the Druid College has been born. The other sister college is in the U.S. in Maine. (I personally would love to see one in every state). The foundations for this life long journey are established by three years of study. 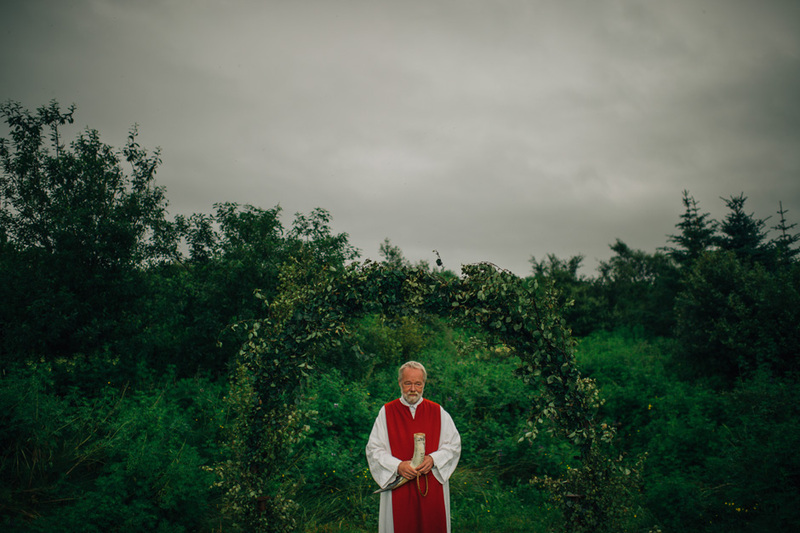 Unlike contemporary universities, Druid studies are furthered not only by personal reflection but primarily by ongoing personal connection and spiritual guidance of (i.e., apprenticeship to) a Druid Priest. While one can learn about druidry anywhere, the college itself has a specific focus on cultivating people who can perform service to the land and community. Given that human beings currently have a very dysfunctional relationship with their environment, the college stresses that priests of nature are needed more now than ever. NOTE: The Druid College is not an accredited college. It’s not a place where you would go to get a degree. They use the word “college” in an earlier sense to describe the place as a center of learning. Einar Selvik of Wardruna and Anilah (Canadian, Shamanic Folk Music Project) have collaborated together to remake an Anilah original. Together they have come out with a new version of Anilah’s “Warrior.” Einar Selvik and Dréa Drury of Anilah are a natural combination of forces – considering that both artists create ambient, folk music that could be the backdrop for a ritual or meditation. Anilah is the musical project of vocalist and composer Dréa Drury, a musician who hails from the Selkirk Mountains of Western Canada. Her music is influenced by traditional shamanic sound practices, sacred chant, dark tribal and Indian Classical. For more information on Anilah, check out my previous post. For those of you who are unfamiliar with Wardruna, they are a Norse Folk Project put together by the former members of Gorgoroth. Their focus is on Norse Paganism, spiritualism and the runes. They are also famed for composing some of the music in the popular History Channel Drama Vikings. This song was composed on Cortes Island, a remote community off the west coast of Canada. The composition is meant to accompany ceremony and ritual, in whatever form the listener chooses. So, from the beginning of Judeo Christian religion, we’ve been taught that there is a “right” and “wrong” religion. This is the result in believing in a “one true God.” Before this mentality took hold, there were myriad of different spiritual groups and traditions. There wasn’t necessarily a right or wrong God. There was instead a supreme God (usually the favorite of the emperor or king) and then less supreme Gods. In Rome some people would worship the traditional Roman Gods while others took to worshiping new Gods introduced by foreigners, such as Epona and Isis. In Japan, when the people encountered Buddhism for the first time, they simply mixed the new Buddhist and the original Shinto tradition together. Even the idea of “Hinduism” as a single religion is misleading (an idea perpetuated by Westerners), because in India they actually practice a myriad of different traditions to a wide diversity of different Gods. I’m not saying every path is always good no matter what. I’m sure if some group decided to start practicing human sacrifice or cannibalism of other group members we could objectively call that wrong. I’m not saying that we have to be open to everything. The above interview takes place between Professor Valle of the Mythology Corner and Vincent Enlund, the tribal leader of The Wanderer Kindred. First off, I will say that Endlund’s beliefs do not encompass all Asatru beliefs – he says as much himself in the video. I will also say that he appears to be either Folkish or Tribalist in his belief set, in that he believes that Asatru is a religion specifically for people of European heritage, and that people of different ancestries have different Gods (such as Shinto for the Japanese, Hinduism for Indians, Yoruba for Africans etc.). There are many reasons why I disagree with this outlook, but that is something I have already discussed at length in previous posts. If you wish to know more on my opinion about this, I can elaborate in the comments section if you are curious. Anyways, I do think Vincent Enlund seems very educated and well spoken about the subject matter at hand. If you have an hour and a half to kill (maybe need something to listen to as you are cleaning or organizing a room) this is a mentally stimulating way to occupy your time. Enlund and the professor have a pretty extensive conversation about how Asatru got started, what it means for people in the modern world, Asatru services for the community (such as prison and military religious services), the interaction that Asatru has with other religious, beliefs about the afterlife, honorable behavior, community, etc. There are also some pretty deep conversations about what Yggdrasil means on a metaphysical level. There are also some controversial questions there too. For example, if all the Gods are real – then are the Monotheistic Gods real too? In general, most of Enlund’s statements match general Asatru opinions I’ve heard from other sources: it is disrespectful to lump different Gods together and treat them as the same God (i.e. Isis is not Frigg), most people actually won’t go to Valhalla since Valhalla is for the 1% of the 1% of most excellent people (and most normal people would probably be exhausted by Valhalla anyways), and for most people new to the Asatru community, the best thing to do is a lot of studying and listening. So while the video above isn’t the “authoritative source” on all things Asatru (especially if you consider yourself a Universalist), it is an interesting and deep discussion on the subject matter. 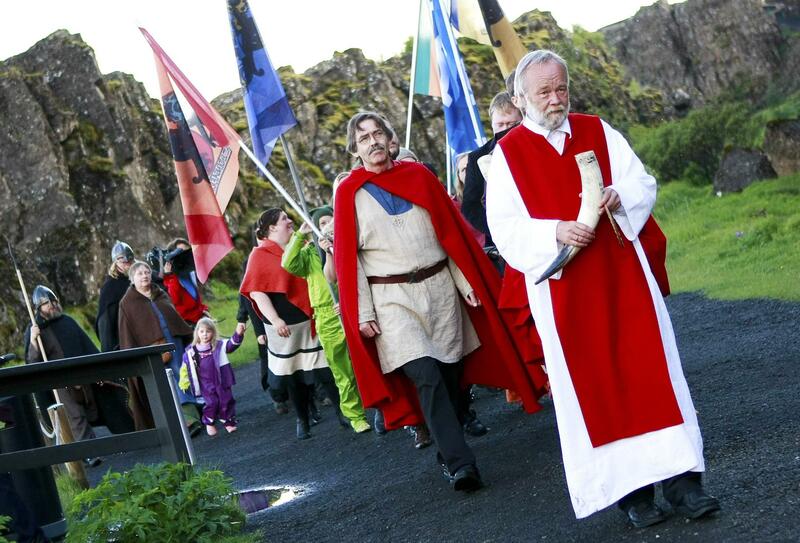 For the first time in 1,000 years, a temple to the Norse Gods will be built in Iceland. Most pagans these days tend to worship in each other’s houses or outside somewhere, since our numbers are pretty low. So this will definitely be a historic landmark for Iceland – if not for the whole Pagan community in general. Icelanders will soon be able to publicly worship at a shrine to Thor, Odin and Frigg with construction starting this month on the island’s first major temple to the Norse gods since the Viking age. While the number of Norse Pagans is small in Iceland, the rate of growth itself is pretty large. The number has tripled in the last decade. So it makes sense that a temple will be built to accommodate this growing community. This temple will be a place where weddings, funerals and initiation rites will take place. After 1,000 years of oppression the old ways will re-emerge once again. 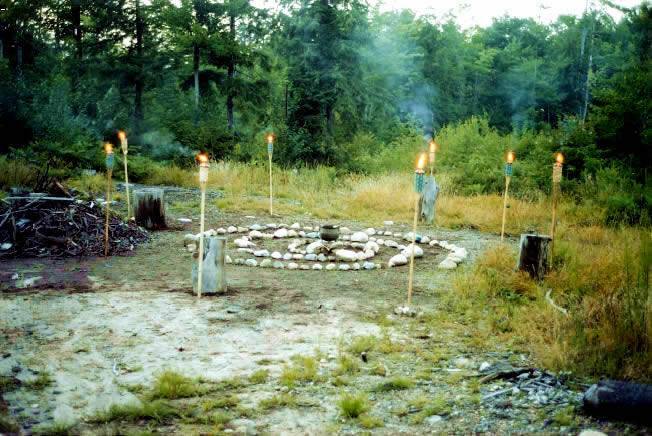 Is Paganism the Fastest Growing Religion in the U.S? Happy Imbolc all! 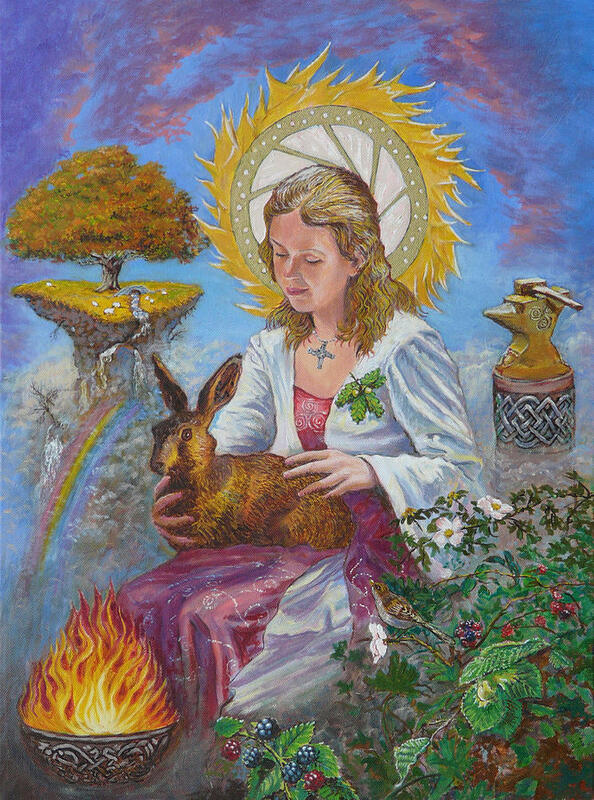 Of the eight festivals on the Pagan wheel of the year, Imbolc is by far my favorite. It may not offer the best weather, but the meaning to me is the most important. While it is a liminal time between winter and spring, as a Gaelic festival it is considered the first day of Spring. It is the time when the snow begins to melt, the animals begin to come out of hiding, and the very first signs of Spring begin to manifest. Traditionally it was a time to visit wells and to light a candle to represent the returning warmth of the sun. Imbolc is strongly represented by the Gaelic Goddess Brighid (along with St. Brigid). Brighid is a Goddess of healing, inspiration and warfare. She is a Goddess of in-betweens. St. Brigid the person also played a transitory role. She represents a bridge between the Gaelic polytheist traditions and Catholicism. She was canonized and holds a special position in the fabric of Irish Catholicism. Perhaps the Goddess Brigid was so powerful among the Irish – even the Christian Irish – that they decided to make her into a saint and weave many of their ancient Imbolc traditions within the fold of Christianity. In this post I will include an Imbolc Prayer written by Gangleri’s Grove along with some helpful resources about the day. We offer adorations unto You. We celebrate You in our rites.